"The life of the singer is the song." Born and raised in the Bible Belt, Jeremy grew as son of an Oklahoma carpenter turned preacher. His mother, a concert pianist, singer and teacher, encouraged his love of music at a very early age, traveling with his twin and younger sisters to any and all churches, senior citizen centers, nursing homes and retirement centers in Western Oklahoma to share songs and laughter. 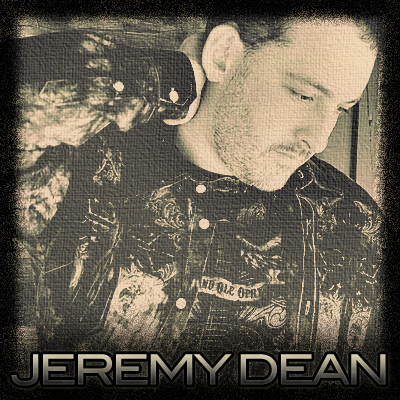 This early musical foundation around family harmony led Jeremy and his sisters through their High School years into various competition opportunities, both on a state, national, and international level, where Jeremy achieved success in the male vocalist category as a representative of Accelerated Christian Education (A.C.E.) his senior year. 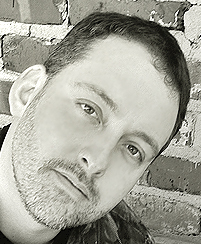 During his teenage years, when he was old enough to obtain a radio broadcasters license, Jeremy was given his first radio job, both broadcasting and production, at a Christian and educational network of stations, originally based in Wheeler, Texas, now known as The Kingdom Keys Network, headquartered in Amarillo, Texas. Jeremy’s first live radio broadcast was a Saturday evening Southern Gospel music program. That would begin a radio career that would eventually last eleven years, including Country radio, where he did production and later hosted the morning show, “The Breakfast Club with Brooks & Dean,” for KECO FM, in Elk City, Oklahoma, as well as a syndicated radio program called “Solid Country,” which featured positive Country music and interviews, as well as the upcoming artists of Christian Country music. It was at sixteen years of age when Jeremy bought his first guitar, a Takamine 12-string acoustic, which he purchased from living legend, Harley Russell, of The Sandhills Curiosity Shop, on the grand Route 66, in Erick, Oklahoma, home of the late great, Roger Miller. And, along with the help and kindness of a church member, Jeremy learned to play. As a radio personality and solo performer during High School, Jeremy was later asked to join a local Country and Gospel band, Loretta Hall & The Crimson River Band, performing regionally in the Oklahoma, Texas, and Louisiana for fairs, festivals, and churches. Jeremy’s Nashville journey began in 1997, when he was discovered in Oklahoma by Eddy Bolton, tenor singer for the legendary Southern Gospel farmily, The Speers. Eddy obtained Jeremy as the third member of a Southern Gospel trio that he traveled with until 1999, at which time Jeremy decided to take some time off the road to concentrate on songwriting and begin a new journey in audio production. Jeremy’s first love of songwriting was first rewarded in 2000, when Grammy nominated aritst, Barbara Fairchild, recorded a Gospel song Jeremy wrote in High School, titled, “The Table Grace Prepared,” which Barbara included on her project, “Forever Friend.” In 2010, the song was re-released to radio, where it remained on the CGC Top 100 for more than a year, topping out at #4 in October of 2010. Jeremy is active in audio production. He also hosts Songwriter Stages for NashvilleEar.com, as well as hosting various other stages and events in the Nashville area. Having also co-written with both notable and upcoming songwriters in Nashville, Jeremy continues to create around his passion for songwriting, which has also allowed him to be active in various projects, including songwriting for LifeWay Christian stores.